Toronto's mayor could be in for a series of political headaches if he can't find a way to work with the progressive wing of city council, Matt Elliott writes. 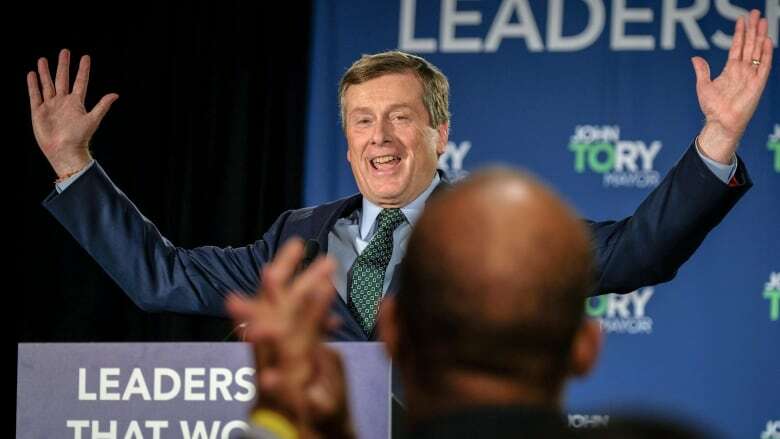 John Tory campaigned his way to a commanding victory tonight. Next up: he needs to figure out how to command the new Toronto council. Looking at the results from tonight's council races, that's not going to be an entirely easy task. The new Toronto council set to take office in a few weeks remains firmly divided. On one side, there's a group of right-leaning and centrist councillors who have been reliable votes for the mayor. On the other side, there are a bunch of progressive-minded councillors who have mounted opposition to Tory on several issues over the last four years. In addition, some surprising outcomes in a few wards have led to four new faces on council: Mike Colle in Ward 8 — Eglinton-Lawrence (who served on council previously), Brad Bradford in Ward 19 — Beaches-East York, Cynthia Lai in Ward 23 — Scarborough North and Jennifer McKelvie in Ward 25 — Scarborough-Rouge Park. Though they've weighed in on some issues via their platforms and endorsements, how they'll vote once sworn into council is uncertain. They're wild cards. With Toronto using a weak mayor system in which Tory can't do much without a majority of council's support (14 votes, if you're counting), the mayor will need to work quickly to establish good relationships with the new group of councillors, and perhaps even some of the councillors who have opposed him in the past. If he doesn't, Tory can expect some post-election headaches. Over the last four years, Tory presided over a council where, based on their voting records on major items tracked through my council scorecard, 25 members could be classified as right-leaning conservatives, who voted with John Tory most of the time. Of the rest, four could be called centrists or swing-votes, and another 15 were left-leaning. In percentage terms, that works out to 56 per cent right and 34 per cent left for the 2010-2014 council term. The new, smaller council is a bit more ideologically balanced, with 11 councillors (44 per cent) looking to be reliable votes for Tory, while nine councillors (36 per cent) fit the opposition mould. 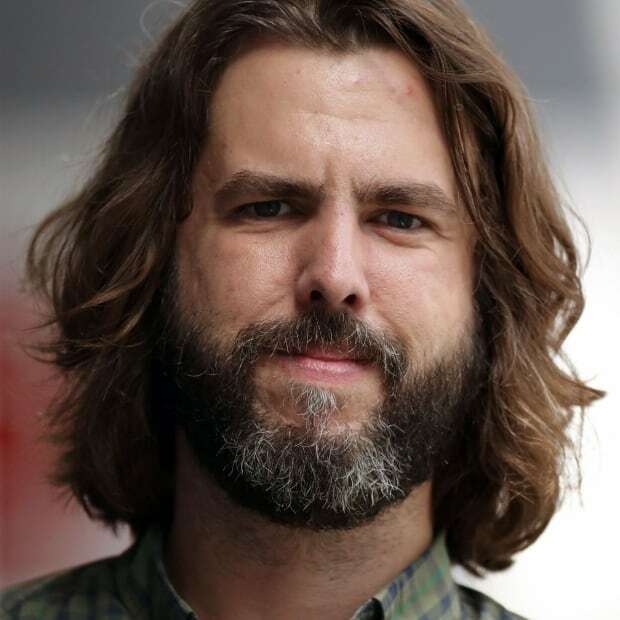 One councillor, Ward 24 —​ Scarborough-Guildwood's Paul Ainslie, is the new council's lone centrist. The remaining four votes are the group of new councillors. The mayor will need 14 reliable votes to ensure his agenda gets through. 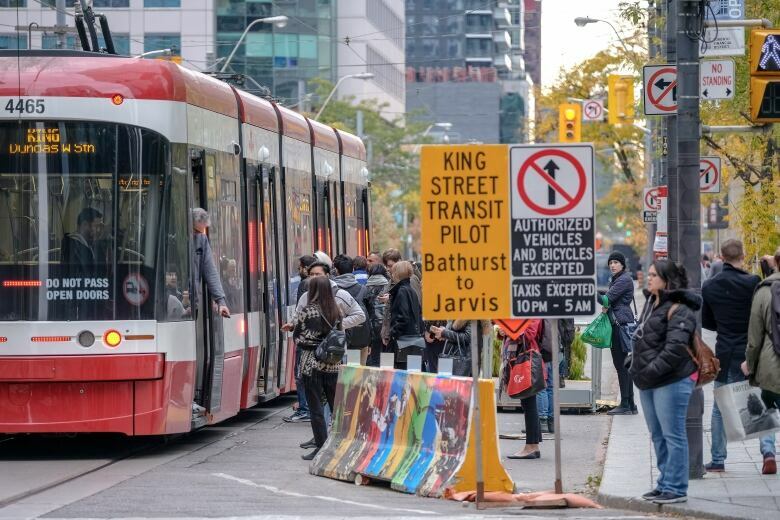 With the new council set to debate big ticket items like the Scarborough subway extension, the King Street transit pilot and, through their budget process, a long list of unfunded infrastructure projects, he'll probably want to start making calls to councillors soon. He'll need to find those votes. Though challenger Jennifer Keesmaat didn't muster up much support in challenging Tory and longtime left-leaning councillor Maria Augimeri fell to Tory ally James Pasternak, progressive voices had some reasons to celebrate. The list of progressive wins Monday night is headlined with the incumbent-versus-incumbent match-up in Ward 7 — Humber River-Black Creek, where Coun. Anthony Perruzza won a decisive victory over Coun. Giorgio Mammoliti. Mammoliti, who collected controversies like Pokémon cards over his two decades on council, was never much of a Tory ally, but he was a generally reliable vote for Tory's budget direction and a supporter of the Scarborough subway. Perruzza, an old school left-winger who votes with Tory about half the time on major items, is an upgrade for progressives. And while Tory's endorsement was enough to get Bradford elected in Ward 19, his endorsement of Joe Mihevc was not enough to defeat incumbent Josh Matlow, who has been a thorn in Tory's side over the last four years due to his fervent opposition to the Scarborough subway project. As expected, downtown Toronto strongly endorsed progressive candidates Gord Perks, Mike Layton, Kristyn Wong-Tam and Joe Cressy. All are likely to continue to challenge Tory's pledge to keep property taxes below inflation, and hammer him on expensive infrastructure projects. Torontonians sent two messages with their votes tonight. The first was that they, by and large, like Tory and think he's done a good job as a mayor. But they also voted for a council that will likely continue to be divided on key parts of Tory's agenda. That sends a message too. It's a dichotomy that will require more compromise and consensus-building. With fewer councillors, Tory will not be able to easily stock the city's powerful standing committees — responsible for shaping policies on stuff like infrastructure and parks — with allies, while shutting out progressives. At the same time, it may be an opportunity for those councillors who were shut out from positions of power to get in the game. But, they'd have to be willing to work with Tory to play. One thing is for sure. When Premier Doug Ford announced his government would reduce the number of Toronto city councillors this past summer, some speculated it was part of a strategy to make council more right-leaning and friendly to the Progressive Conservative government. If that was ever part of the political calculus, it failed. Matt Elliott has been following, analyzing and delving deep into wonky policy stuff at Toronto city hall since 2010. You can follow Matt on Twitter at @GraphicMatt.